I received a big ol’ box from 1MORE that included 3 of their IEMs: The Quad, Triple, and their Dual Driver Lightning models. For now, we are going to focus on the Quad in today’s review. 1MORE is a company out of San Diego, California that is relatively new to the market, so I am very excited to force them to run the Headfonics gauntlet and see if they can survive my strenuous testing! 1MORE seems all about offering the total package to customers. No, literally. Their boxes are awesome. 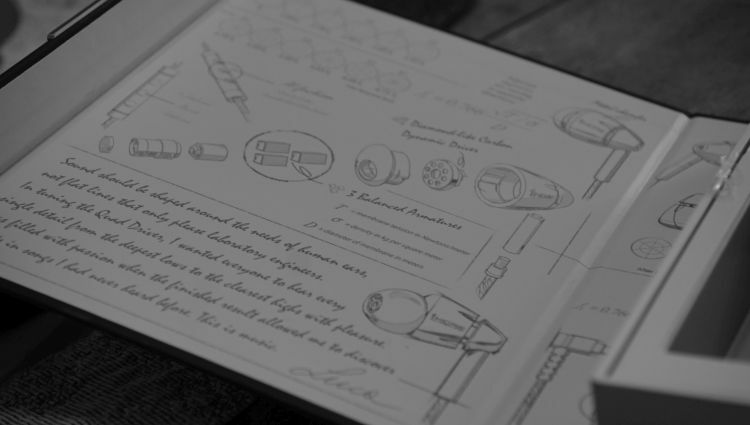 The entire interior of the box is adorned with sketches of the Quad itself, as well as a nice insert for the IEM to rest in, as well as the cable below. 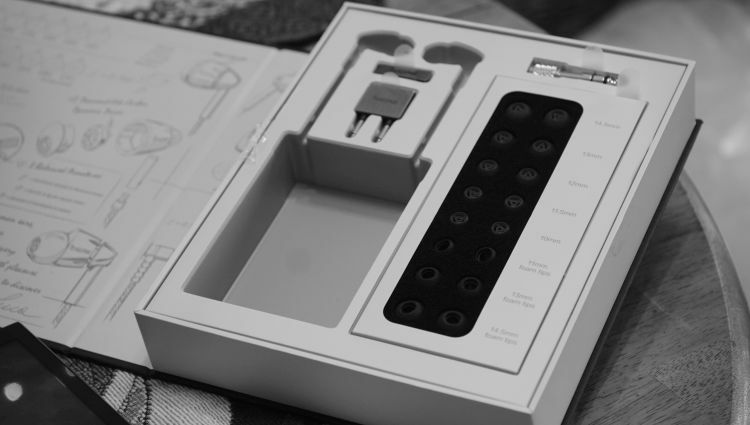 The Package includes an airplane and a standard ¼ adapter as well. I enjoy the simple things, ya know? Sometimes, I would like a nice, basic exterior box like this that feels solid and not flimsy, as well as something nice on the inside. I think 1MORE did a nice job here. Whoever designed the box exterior and interior, did a very good job! The Quad is made of a durable aluminum housing and a 1.25m long Kevlar cable, which is great…but at this price, I think I would need a nice fabric cover for that. No, it really isn’t needed. But, we audiophiles like to be spoiled with things we don’t need. Lately, a lot of the budget IEM’s out there have been offering nicer, fabric cables and even detachable cables for their sub $99 IEM’s. Might be something to consider if you want to cable swap down the road. Also included are NINE sets of tips and a shirt clip. Yep, nine. But…oh no! It has an inline microphone. I wish the terms audiophile product and cable microphones would never go together. But, I won’t complain too much there. I just feel like it doesn’t belong. It is great to appeal to consumers here who are not audio enthusiasts, but typically non-audio enthusiasts don’t buy $199.99 IEM’s. Usually, it is someone bridging from general consumer to audiophile. It really isn’t a big deal, it is fine and not bothersome physically. For $199.99, I am moderately impressed with the quality of the IEM, but don’t let that sway you. It has a good bottom end and can be boosted down yonder nicely to obtain better than leveled out bass. If you are a bass enthusiast…probably not for you, but if you are searching for more bass now and then, then this is a solid pick. I’ve found that the Quad here delivers a very meaty sound in the bassier regions, but only with high levels of EQ. Admirable, not much of a quality drop off between +2dB to +5dB that I can hear, which is a great thing. While the quality is just fine for the price, it doesn’t reach a stellar level. What I enjoy about it is that I find it to be very musical and a good middle ground, which is sorely needed in Hifi right now. Too many neutral sets out there with an aim to be very clinical, or at least, overly clinical and I’ve been rocking out often on the Quad here with a +5dB booster active. For the price, it is just fine quality, but more so worth it for a very nice appeal in terms of being neither overly clinical nor too warm. A good balance there, no doubt. Physical impact (how hard something hits, the wince factor) is a lost art, at least in my opinion. Some headphones are either too soft feeling or overly punchy. I am placing the Quad in the realm of punchy on the bassy end of the spectrum. This isn’t at all a forgiving set, but it also isn’t annoying or painful. Plentiful kick is abound, but thankfully, not too much. I have some third party tips from other companies that lessened this and also increased it. So, it is nice to see that 1MORE did their homework perhaps and opted for some tips that were middle ground. I wish this could be a combination of the next 3 sections because they all intertwine into the finalize reason why the midrange, treble, and staging are all so nice on this product. The vocal experience is lively and well blossomed, meaning, it isn’t relaxed and lacking substance. It is moderately hefty and more than forward enough to do justice to intimate recordings that I am fond of. Quality is very nice, but not top tier for the price. Although, none of the other contenders are this lively in the centralized regions as this Quad is that I can name for $199 and under. Substance and good bloom together are rare. The entire upper end of the midrange is totally absent nasal tendency. That is a marvelous quality to house. If you like your Amy Winehouse, this is a great choice! Female vocals really excel on 1MORE’s Quad IEM, due to the generally higher frequency range. At 40hz topped on this product, you’ll really feel those guitars scream and those singers zing, that is for certain. I enjoy my Fusion genre! In fact, I think it is my favorite genre and I can safely say that I constantly head bob to it when using this Quad. The upper midrange is fantastic and seems very well tailored for Rock, Metal, Fusion and similar guitar focused genres out there. 40,000hz is no joke. Usually and when you see that rating, it means abundant treble and that is absolutely the case. Thankfully, the treble is both plentiful and very clean for a $199 IEM. Dynamic kick seems to be placed in the moderate tier as well. Meaning, it doesn’t hit overly hard but also doesn’t hit soft. Similarly to the bass area response, the treble side is closer to potent than anything moderate. While not at all annoying, I find it just a tad over-engaging and a little too abundant, if that makes any sense. I enjoy it plenty. As mentioned, guitars, violins and similar sound fantastic to me and very engaging, vivid and lively to my ear. Good, also, is that the headphone is low impedance and does not require an amp to get the best out of it. I feel it is maxed out in potential via my Ap200 from Hidizs. I require no amps or anything special outside of a solid mid-tier portable DAP. Brightness can sometimes be a bit of an issue on very old recordings, or older rock albums. But for the most part, I enjoy the top end a lot and have very little negative statements to make. It seems to respond pretty fairly to EQ, as I can dip down a few dB up top and get a nicer ride that is less fatiguing. The best trait this IEM houses is certainly found here in the imaging department. For this price, I am extremely happy with what I am hearing. The 1MORE Quad is not only properly setup and enjoyable in a physical sense, but also reaches very deep and wide with a ton of air to the experience. I did not expect this originally but was provided with a happy surprise upon first listen. Separation of instruments is excellent. Stage depth of field is very good. Width and height are very good. Realism factor is also good! No doubting this IEM is a very solid choice for soundstage buffs out there like myself. The natural appeal and density of vocals and instruments help nicely since the IEM is not thin sounding. Density and substance play a factor here as well in the path to achieving as close to realistic as one can in the current market with a $199 product. For the price, the Quad here punches above its class for imaging needs. I really enjoy the soundstage here. In fact, sometimes I forget this IEM is only $199 and I fully expect to remember the price as something higher when referencing imaging in general. If staging is your thing, this is a great option for you. I mentioned already that this IEM sounds forward in the mids, but also has a moderate amount of bass and an abundant amount of treble. With that in mind, the experience can be selectively EQ’ed to your liking to an extent. Doing so makes this 1MORE Quad a bit of a genre master. 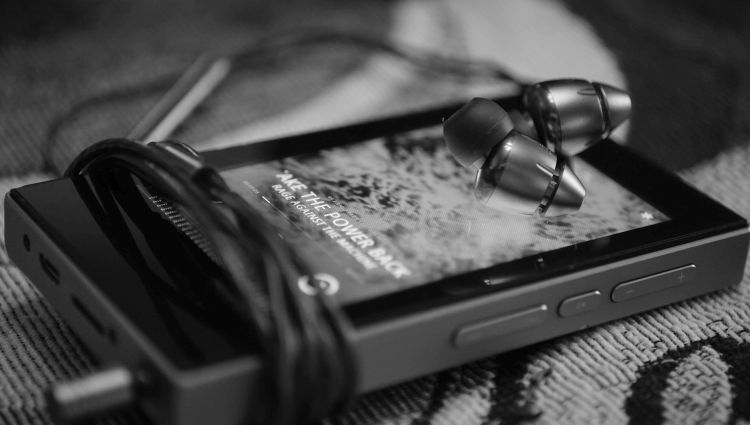 Classical and high-quality recordings play well due to the excellent imaging factors this IEM has to offer. Pop, Jazz and Rock sound fantastic. Oddities like Fusion still sound good and so long as the older recording isn’t very bright sounding, you can enjoy those too. I find the older Django albums un-listenable most of the time, but remastered versions of said albums sound much more tolerable. Stick to the nicer remasters and you should be fine. Otherwise, I’d watch out for older rock albums and vintage sounds. Anything regarded with piercing treble is probably not suitable here. But then again, that is the case with most headphones, isn’t it? 1MORE’s Triple model ($99) is the more mellow of the two units. Offering what I feel to be the more balanced, smoother and less fatiguing up top sound. Not that I find the Quad fatiguing, just that there are varying levels of it and both are well within being tolerable for a few hours. I simply find the Triple the smoother and less physically dynamic of the two, the one you can listen to longer before fatigue may set in after those hours of usage. Smoothness factor is definitely more refined on the Triple. However, the Quad is certainly the superior headphone in terms of overall fidelity. There are also some sound-staging differences as well, which I will detail in Part 2 of my on-going review series with all three of these 1MORE models. For now, the Quad certainly seems the more capable of the two in terms of quality offered. 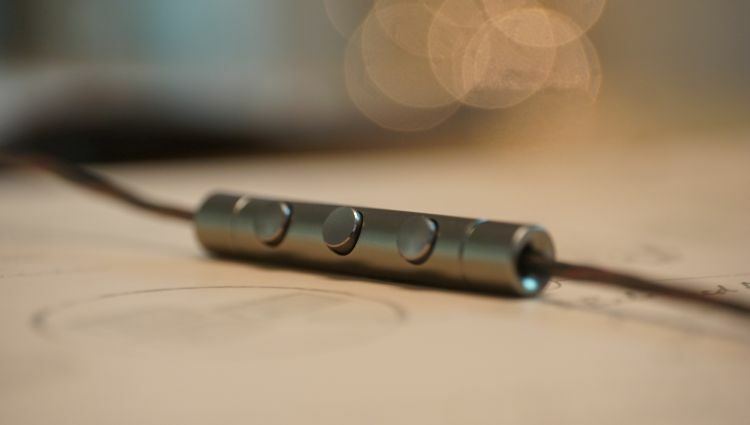 The Triple seems the most smooth and easy on the ear. I’m giving high marks to the Quad for sound quality all around, as well as staging prowess. 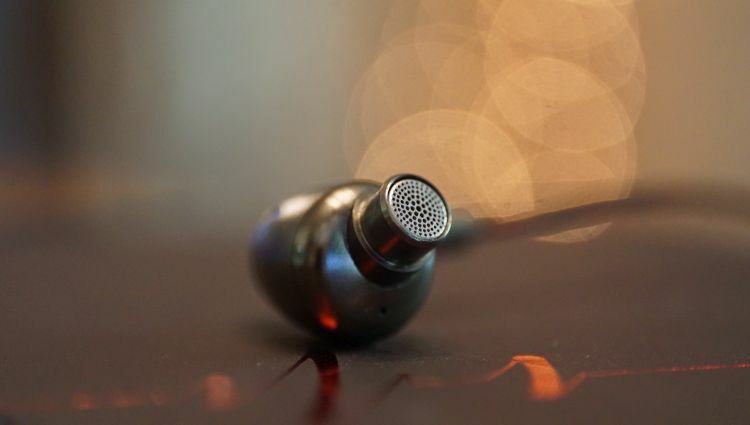 Truly, the imaging is excellent and it makes the IEM hard to discontinue using, as that is my favorite element of audio. The bass end is a bit too light, at least in my opinion and it could have been tuned for more with the idea that the treble end was as abundant as it is. The end result is a little leaning towards the treble end, which leaves some to be desired for the bottom end. Sadly, I wasn’t able to get as much depth of bass as I had hoped for via EQ. Otherwise, the mids and treble are very nice and the IEM itself seems solidly constructed. Top it off with a cool box and you have a nice $199 IEM that could definitely be on your stocking list for Christmas 2017. 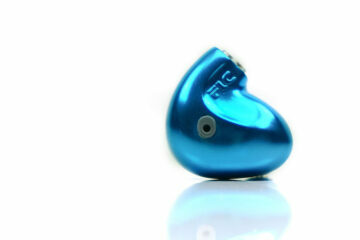 If you like staging, this is a great place to start if you are investing $199 into an IEM. 1MORE has done a good job here. How do these compare to the FiiO F9 Pros? I’ve been trying to decide between these and the Pros, as the Quad Drivers are currently on sale.